First thing - is that you may not need any accessories at all for your new Kindle! Particularly if you already own an older version 2 or 3 Kindle, then the new Kindles (called by some Kindle 4), will work fine with your old accessories! In particular the cable and charging system are the same for all Kindles. Although the new Kindles don't ship with a plug, you may need to buy one. But first consider whether you can just charge your Kindle from an existing cellphone charger (or any other charger that takes a standard USB cable) or even just from computer or laptop. In addition your existing car charger will work just fine with your new Kindle, so long as it will take a USB cable. If you have the latest, cheapest Kindle model you won't need earphones, because this model doesn't do sound! Otherwise any earphones will work fine with your Kindle. 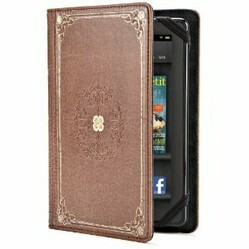 This is one thing you may well need to buy your new Kindle is a cover or case. 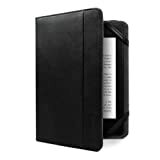 Because the Kindles are different sizes from the existing Kindle range, you may want to buy a specialist cover, case or skin. What Size Kindle Do You Have? 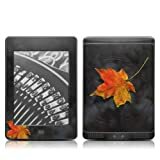 Before you go shopping for any type of cover or case for your new Kindle - you need to know which one you have! Here's a quick guide to the difference sizes and shapes! Whether your Kindle is a 3G or WIFI model makes no difference to the size of the device. easily identified by - yes- the keyboard! Dimensions: 7.5" x 4.8" x 0.34"
Dimensions: 10.4" x 7.2" x 0.38"
This is the non-touch version, you navigate using the buttons on the side and the 5-way controller. Dimensions: 6.5" x 4.5" x 0.34"
This is the touch version of the Kindle 4. Most but not all cases will hold either the Kindle or the Kindle Touch - but double check as the Touch is slightly bigger. Dimensions: 7.5" x 4.7" x 0.45"
What's the Difference: Cover, Case or Skin? 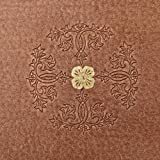 A cover - acts like a book cover, its designed to stay on the device and will protect it from scratches, dirt and water. Some covers also include lights, so you read in the dark. The main disadvantage of covers, is of course that they add a little weight to the Kindle when you are using it. The main advantage: that you don't have to fiddle around getting your Kindle in and out everytime you want to use it. Particularly useful if you use your Kindle when out and about commuting and traveling. A case - a case is something you keep your Kindle in, but remove it from when you want to read it. 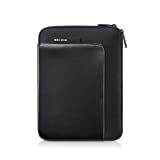 This suits those who prefer to read their Kindle "naked", with no extra bulk, but who need to protect their Kindles when traveling or commuting. If you are packing your Kindle for lots of air travel, consider a "TSA friendly" case to minimise security gate hassels. A skin - most skins are decorative. They are for the person who wants to personalise their Kindle, and can be handy if there are a lot of the same device around so that you don't end up with the wrong one! 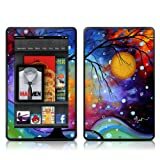 The first skin below is a little different and does claim to protect the Kindle from knocks, though obviously the screen is still vulnerable. Its possible to combine a skin with cover or case for improved protection. 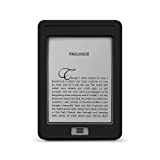 I have recently purchased a Kindle and love it. I think I need to think about buying a cover to protect it.